Place the breadcrumbs on a baking tray and cook on 180°C for 5 minutes until just brown. Mix the toasted breadcrumbs with the onions and then transfer to a plate. Combine the egg with the flour and French's Classic Yellow Mustard. 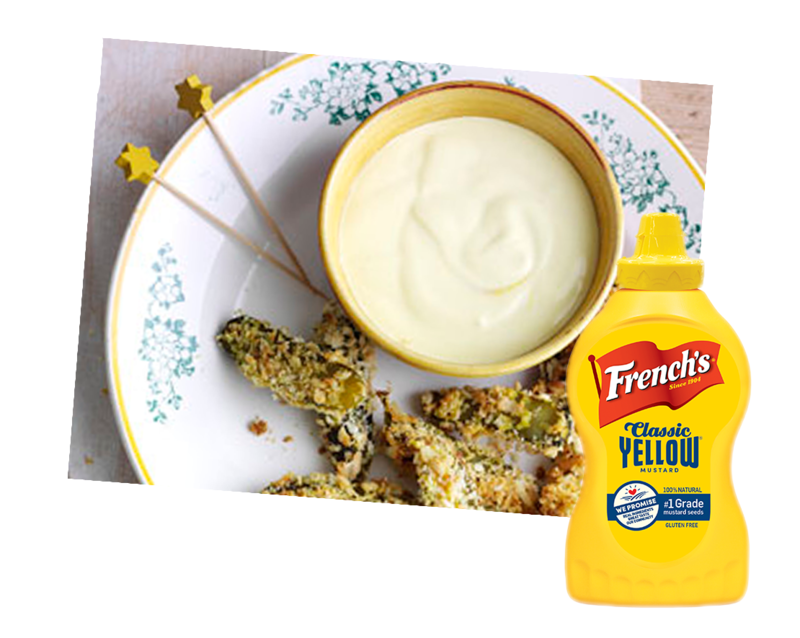 Dip the gherkin pieces into the egg mixture, then roll in the breadcrumbs. Place on a lightly greased baking tray and bake for 5-8 minutes until crispy.